Extra lightweight carbon fibre and 7075 alloy clamping spool set for F1 cars with a 1/4 rear axle design such as for the X1, F6 and Roche. An F1 spool helps eliminate 'diffing out' of the rear pod on extra high grip black carpet conditions and gives your F1 more corner exit speeds. This spool also greatly reduces the weight compared to a gear diff or standard ball diff for a cooler running motor and increased acceleration. 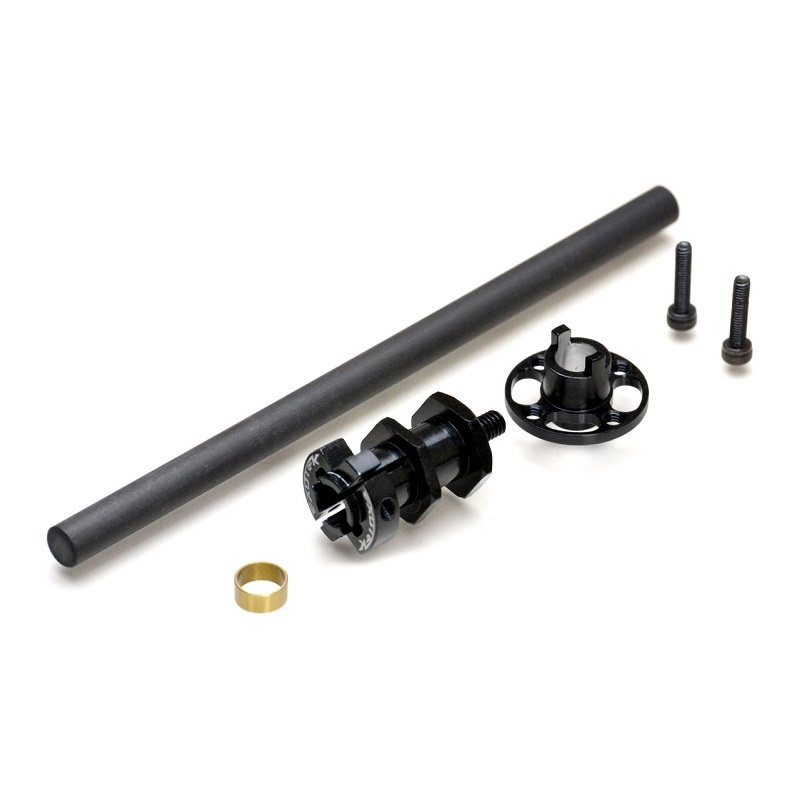 Our sturdy design eliminates any holes in the shaft for increased shaft durabilty. The Spur mount keys directly into the supplied right side wheel clamp and makes for easier gear swaps as well. Also the right side wheel clamp uses 2 screws style clamping which requires less force on the screws for better clamping force. Requires a standard pan car ball diff type spur gear (Kimbrough, Axon etc)- not included.